The Department of Justice and the U.S. Environmental Protection Agency (EPA) announced today that the United States filed suit under the federal Safe Drinking Water Act against the city of New York and the New York City Department of Environmental Protection for their longstanding failure to cover the Hillview Reservoir located in Yonkers, New York. A consent decree requiring the City to make improvements and cover the Reservoir at an estimated cost of $2.975 billion and to pay a $1 million civil penalty was also lodged with the Court. The State of New York will be a co-plaintiff and is a party to the consent decree. The Reservoir is part of New York City’s public water system, which delivers up to a billion gallons of water a day. The Reservoir is an open storage facility and is the last stop for drinking water before it enters the City’s water tunnels for distribution to city residents. The 90-acre reservoir is divided into two segments, the East and West Basins. Prior to the water entering the Reservoir, it receives a first treatment of chlorine and ultraviolet treatment. Since the Reservoir is an open storage facility, the treated water in the Reservoir is subject to recontamination with microbial pathogens from birds, animals, and other sources, such as viruses, Giardia, and Cryptosporidium. Giardia and Cryptosporidium are protozoa that can cause potentially fatal gastrointestinal illness in humans. The City has been required to cover the Reservoir since it first executed an administrative order with the State of New York on March 1, 1996. Under the Safe Drinking Water Act and its regulations, the City also became obligated, as of March 6, 2006, to cover the Reservoir by April 1, 2009. In May 2010, EPA entered into an administrative order with the City requiring the City to meet a series of milestones to cover the Reservoir. The first milestone was Jan. 31, 2017. When the City failed to meet that date, this lawsuit followed. 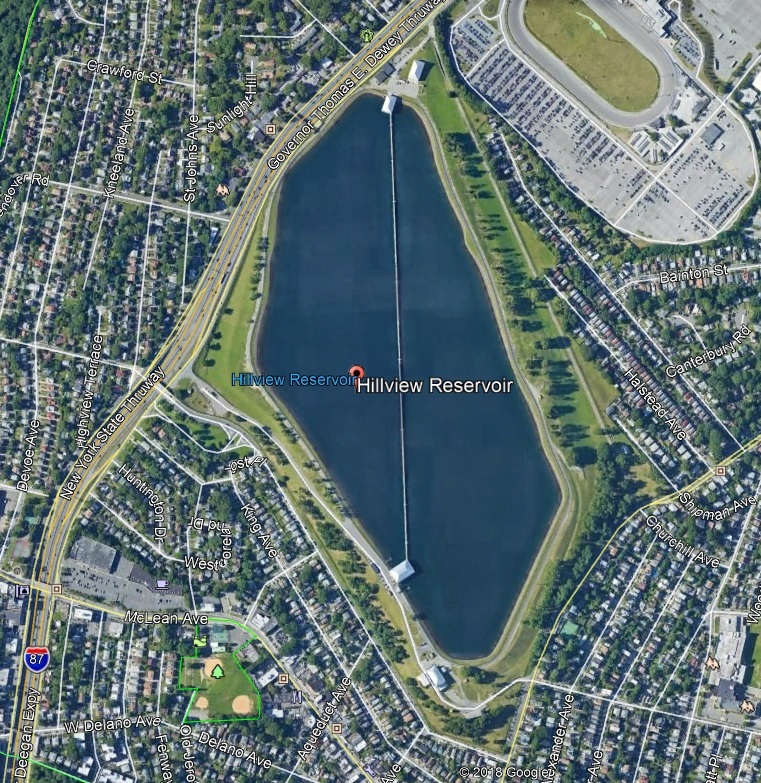 The consent decree requires construction of two projects in addition to the cover, the Kensico Eastview Connection (KEC) and the Hillview Reservoir Improvements (HRI). The KEC entails the construction of a new underground aqueduct segment between the upstream Kensico Reservoir and Eastview ultraviolet treatment facility. The HRI requires extensive repairs to the Hillview Reservoir, including replacing the sluice gates that control water flow and building a new connection between the reservoir and water distribution tunnels. The completion of the KEC is expected to take until 2035. The City estimates the construction cost of the KEC to be approximately $1 billion. The HRI project will be conducted concurrently with the KEC and is anticipated to be completed by 2033. The City estimates the construction cost of the HRI to be approximately $375 million. Following the completion of the KEC and the HRI, the East Basin cover will be constructed, with expected commencement of full operation in 2042, and then the West Basin cover will be constructed, with expected commencement of full operation in 2049. The City’s estimate in 2009 for the cost of its then planned concrete cover for the 90-acre Reservoir was $1.6 billion. ...when in-stream treatment after discharge from the reservoir could be an option.